Cliff Road, North Petherton TA6 6NU provides a well presented and maintained one double bedroom character cottage situated to the end of a row of two similar properties near to the fringe of this popular sought after village of North Petherton which itself is provided with a comprehensive range of shops and amenities all being within walking distance. 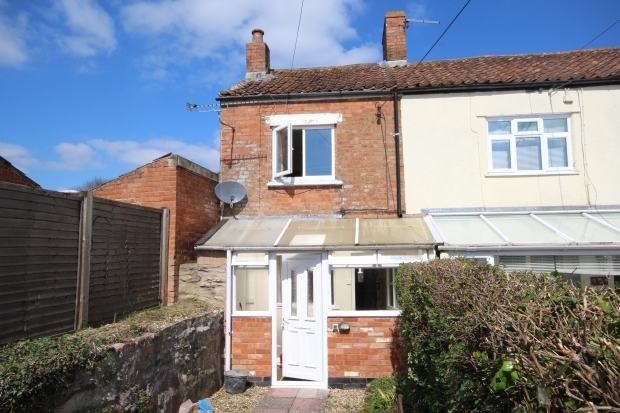 North Petherton is approximately 3 miles south of the town centre of Bridgwater and also conveniently located for the M5 motorway being approximately 1 mile away from its nearest junction 24. The property is constructed of part rendered solid brick wall elevations beneath a pitched, tiled, felted and insulated roof and provides characterful accommodation which has been the subject of much improvement by the current owner and briefly comprises to the ground floor; Lean-to Entrance Porch, Living Room, Dining Room, Kitchen whilst to the first floor Double Bedroom and Shower Room with modern white suite. 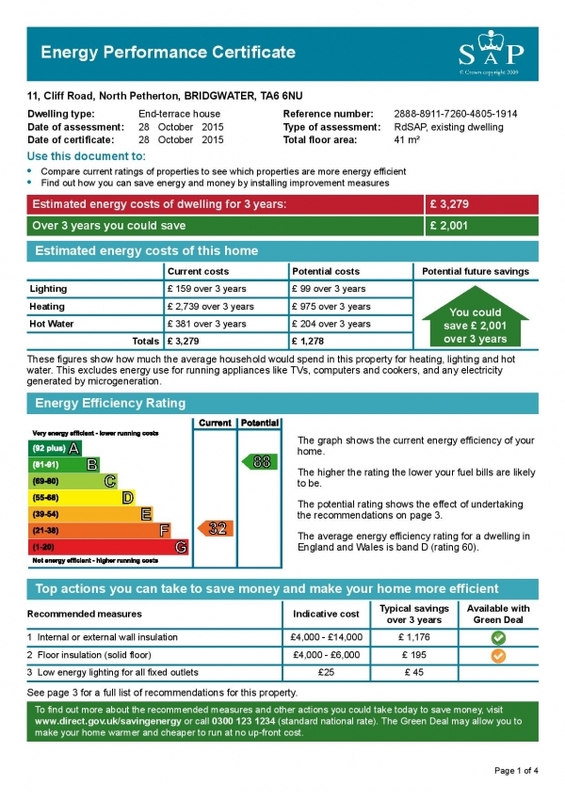 The property benefits from UPVC double glazing to most rooms, night storage heating and a good standard of floor coverings and decoration throughout. Outside the attractive courtyard style cottage gardens are a particular feature to both the front and rear of the property and this together with off road parking to the front combined with the overall nature of the accommodation and facilities provided make this an ideal first time/investment opportunity and as such early internal inspection is thoroughly recommended to avoid disappointment. KITCHEN 8’8” x 6’4” UPVC double glazed door and window to rear overlooking garden. Range of modern matching floor and wall mounted cupboard units with single drainer sink unit inset into rolled edge work surfaces with ceramic tiled surround. Plumbing for automatic washing machine. Space for electric cooker and fridge/freezer. Ceramic tiled flooring. Inset ceiling spotlights. DOUBLE BEDROOM 11’7” x 10’6” UPVC double glazed window to front. Night storage heater. Doors to built-in cupboard and wardrobe. Coving. SHOWER ROOM UPVC double glazed window to rear. White suite comprising close coupled WC. Vanity sink unit with cupboard below and ceramic tiled concertina style glazed door. Shaver point. Louvered doors to airing cupboard housing factory lagged cylinder with immersion heater. Coving. OUTSIDE To the front of the property there is a tarmac area for off road parking with steps up to attractive front garden laid to chippings for easy maintenance with raised flower borders and paved path and lighting up to the main entrance. To the rear the gardens are similarly low maintenance, attractively laid to paving slabs with well stocked borders, patio, timber framed SHED and outside tap and lighting.